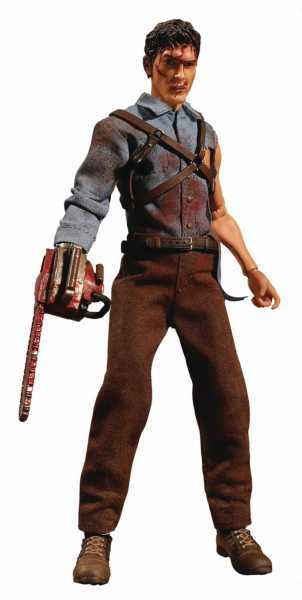 Produktinformationen "ONE-12 COLLECTIVE EVIL DEAD 2 ASH WILLIAMS ACTIONFIGUR"
From Mezco Toys. The One:12 Collective Ash figure boasts three head portraits with star, Bruce Campbell's likeness. Authentically presented in his classic ripped blue button-down shirt and brown slacks, Ash sports a meticulously designed shotgun harness. Equipped with his trademark chainsaw hand (groovy! ), a sawed-off shotgun, and the Necronomicon (AKA: The Book of the Dead), this figure also includes Ash's severed demonic hand and a decapitated Deadite head. Each One:12 Collective Ash of Evil Dead 2 figure is packaged in a collector friendly box, designed with collectors in mind. There are no twist ties for easy in-and-out of package display. 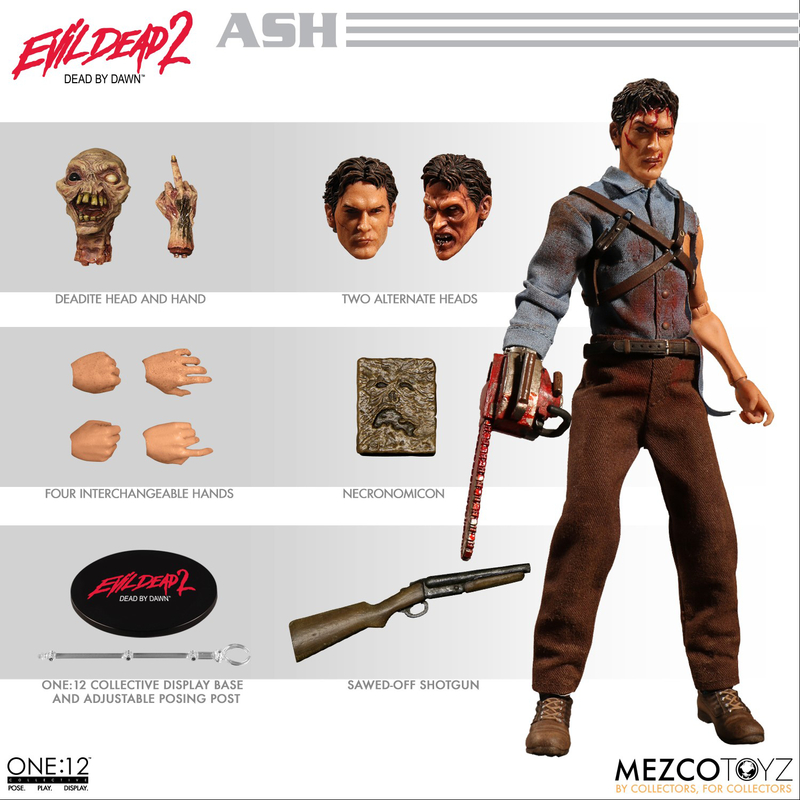 Weiterführende Links zu "ONE-12 COLLECTIVE EVIL DEAD 2 ASH WILLIAMS ACTIONFIGUR"
Kundenbewertungen für "ONE-12 COLLECTIVE EVIL DEAD 2 ASH WILLIAMS ACTIONFIGUR"